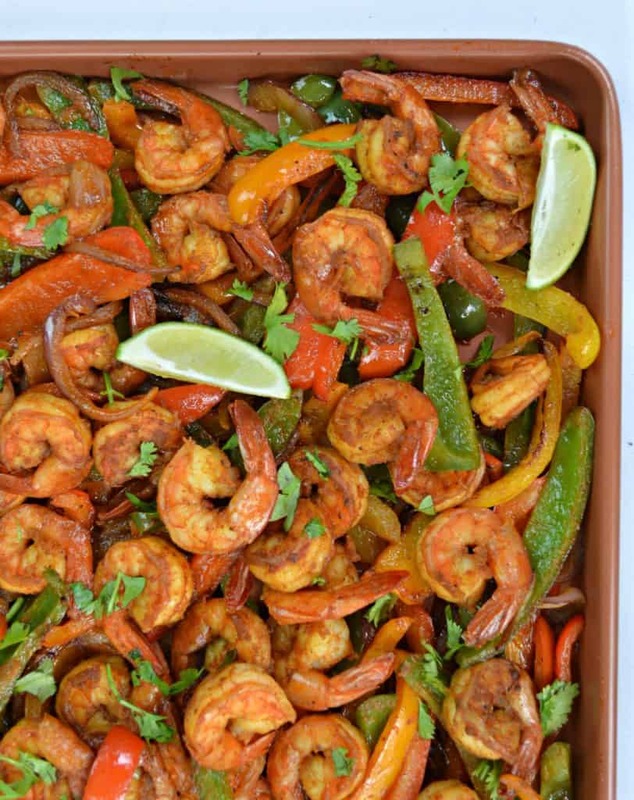 This sheet pan shrimp fajitas recipe is easy and delicious thanks to Fresh From Florida bell peppers! 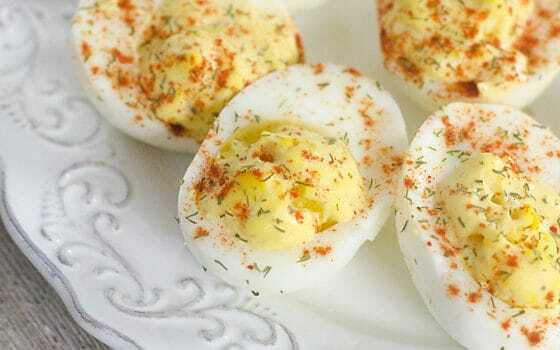 Serve with warm tortillas or, for a low carb version, use lettuce! Scroll down for the easy recipe. 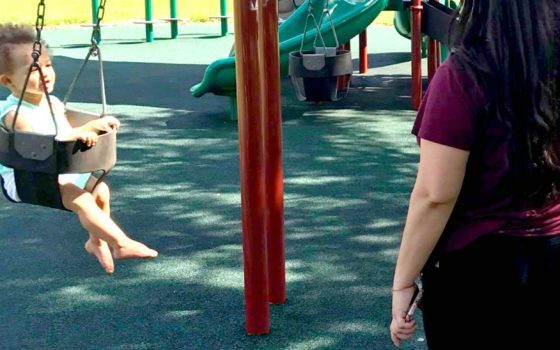 Our diet, while not perfect, has drastically changed in the past year. Eating fresh, in-season produce has played a huge role in the recipes I make at home and what you see here as well. Right now, I’m loving the addition of these bell peppers, and the kids are loving squash and sweet corn! 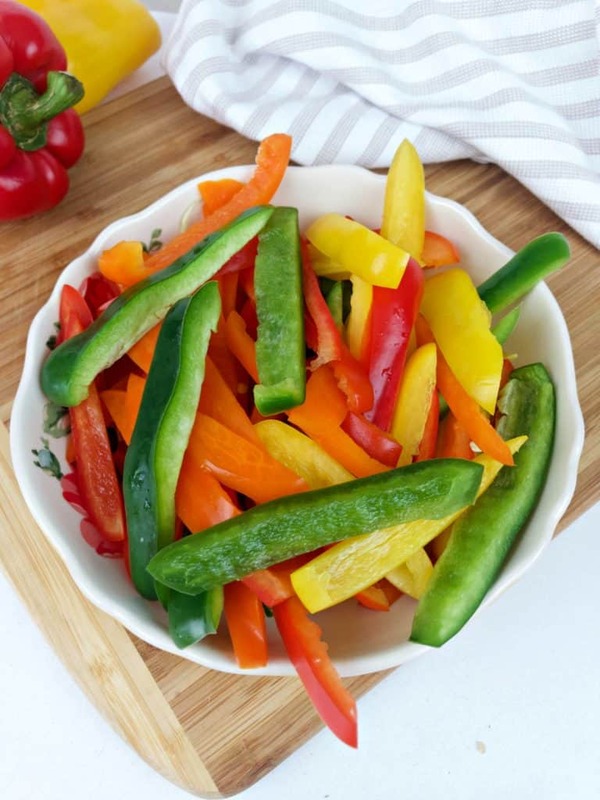 One of the biggest perks of living in Florida is having all year access to fresh produce like Bell peppers that are super healthy, and loaded with vitamin C AND they’re very easy to work into many recipes. 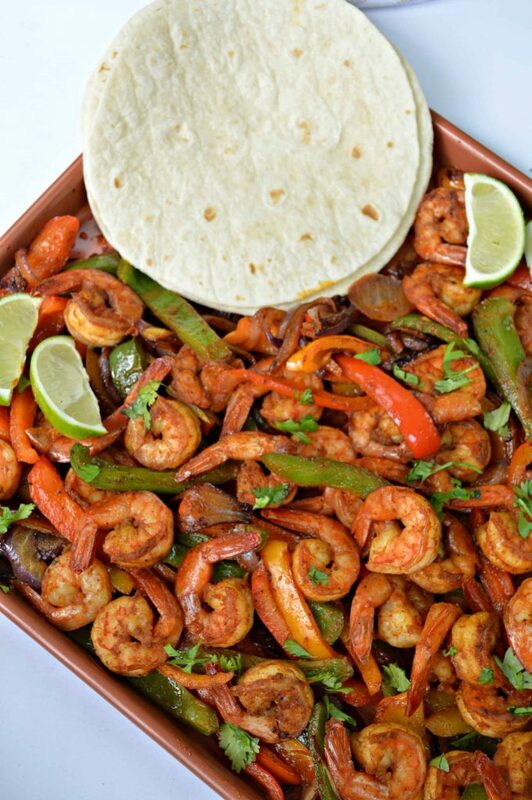 This shrimp fajita recipe is a great way to use these yummy peppers! I used red peppers, green peppers, orange peppers, and yellow peppers too! 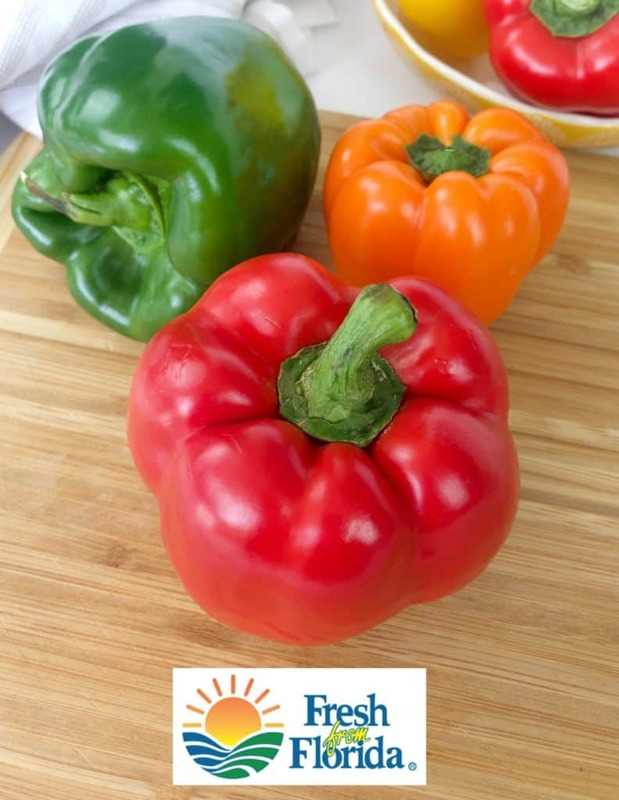 Look for food, produce, seafood, and especially bell peppers labeled Fresh From Florida. 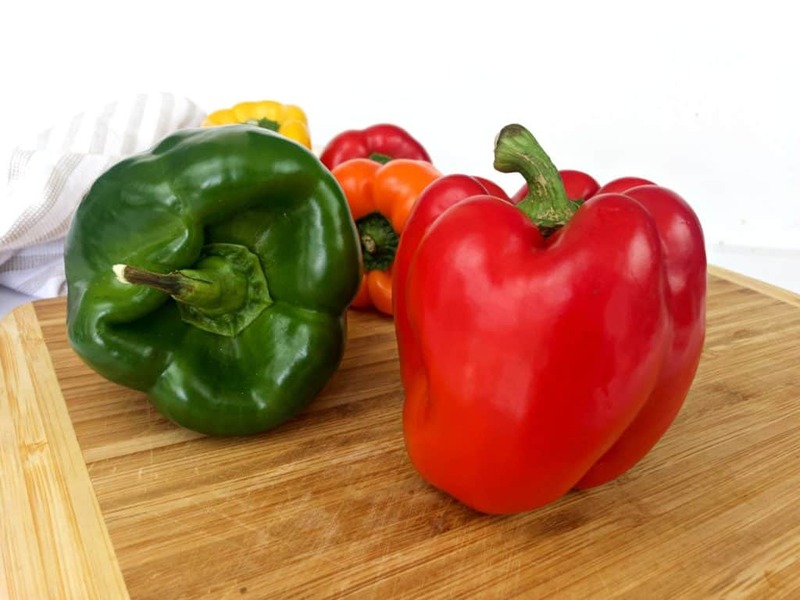 Bell Peppers are also great to use in a omelette, or toss into a pasta salad! For more easy and delicious recipes head on over to the Fresh From Florida website! 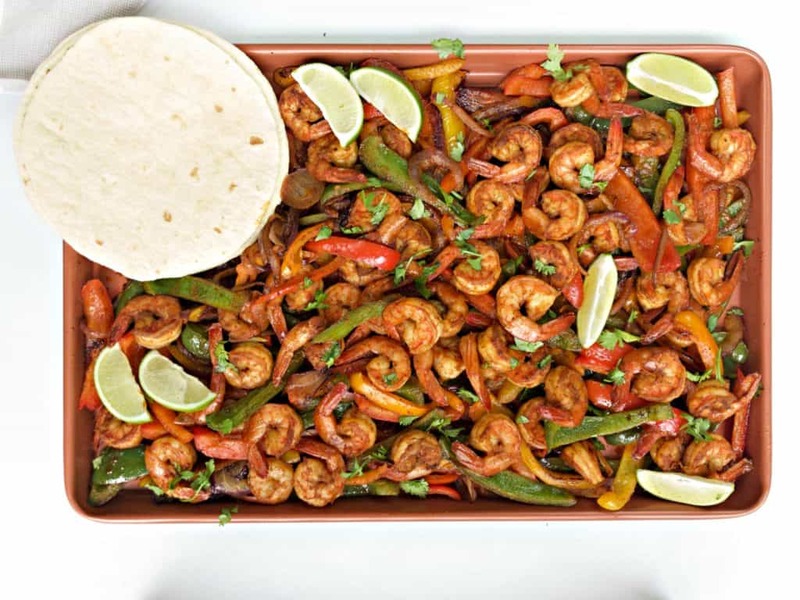 This sheet pan shrimp fajita recipe is as easy as it gets, it makes for the perfect quick weeknight dinner. 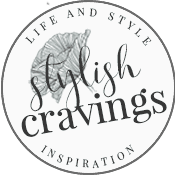 You’ll love it for the upcoming warm weather and your Cinco de Mayo festivities! Toss into bowl and shrimp, olive oil and seasoning. Toss. 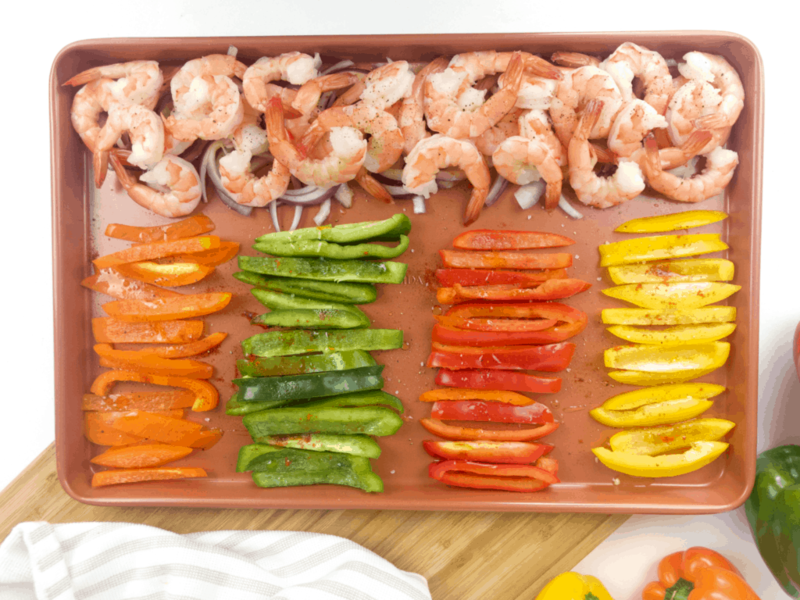 Arrange shrimp, peppers and onion on sheet pan. Bake for 10 minutes – toss and broil for anther 5 minutes or until shrimp is thoroughly cooked. Squeeze fresh lime juice over fajita and top with cilantro.